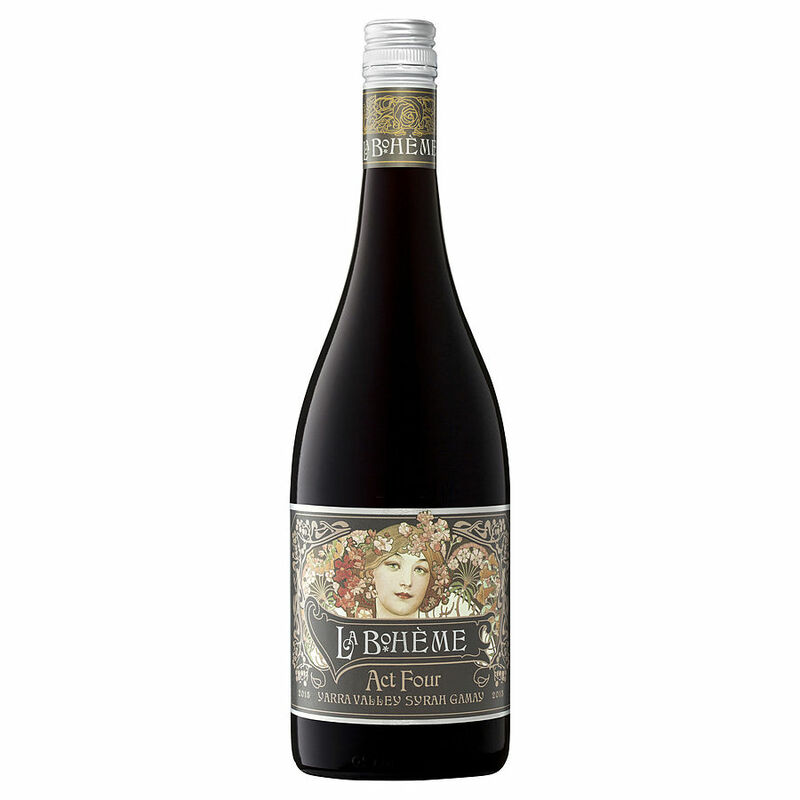 4	stars -	"Review for La Boheme Act 4 Syrah Gamay 750ml" Dale Carter This La Boheme Act 4 Syrah Gamay 750ml is the best Red Blends I have tried. 2016 was warm and dry through most of the growing season. Good rain in late January settled things down and the harvest was mild but quite early. Vibrant purple. Spicy alluring nose of red and black fruits, dry herb, whole bunches. Supple richness, blueberry fruits, earth and forest, lots of spice and quite textural. A mixture of whole bunches and whole berries with some early foot stomping to create some juice to start the fermentation. A combination of foot plunging and turnovers during fermentation. Pressed and racked to 500 litre casks for 4 months. Drink now or keep for 3-4 years in a good cellar.